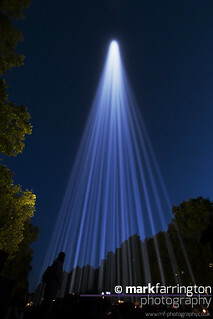 www.artangel.org.uk//projects/2014/spectra/about_the_proj... One hundred years after Germany declared war on Russia, thereby putting into motion events that would devastate Europe during the decades that followed, the UK commemorated this day with LIGHTS OUT: a nationwide black out. 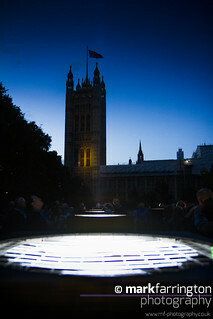 As lights across the country were extinguished, a single source remained on the tomb of the Unknown Warrior at Westminster Abbey. 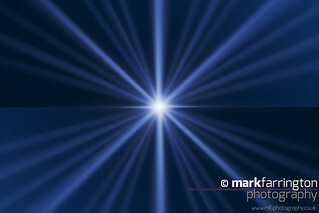 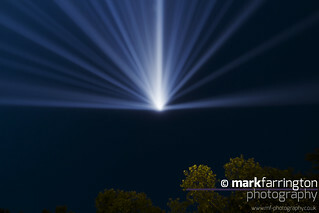 Simultaneously a column of white light soared into the sky over London. 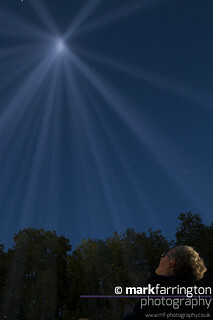 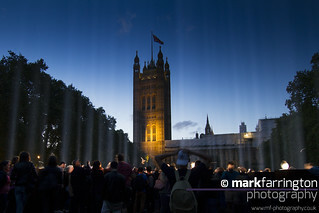 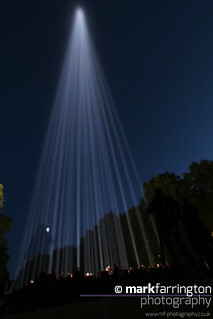 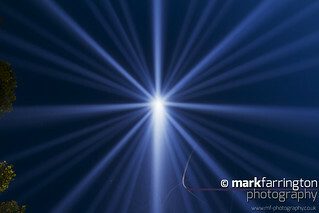 A twenty-metre grid containing forty-nine searchlights installed at Victoria Tower Gardens forms spectra by Ryoji Ikeda. 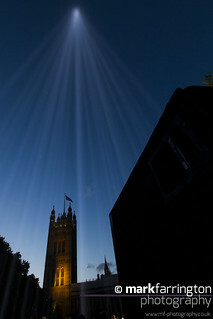 Unannounced, it appeared in the sky at dusk Monday 4th August and for seven nights only it was visible across the city between sunset and sunrise. 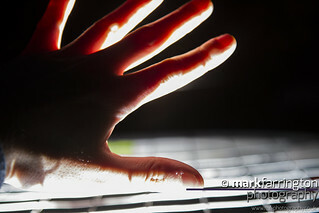 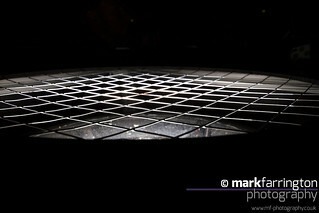 People could walk within the grid of lights, experiencing a specially composed soundtrack by Ikeda. 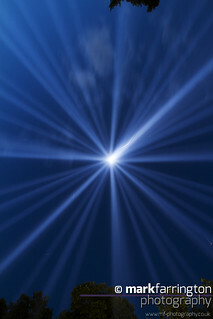 Walking through these sinewaves, a personal musical score was created for each visitor at the source of this architectural intervention in the sky.